If you have seen any of my Instagram stories (the highlight’s still available) then you’ll know that I went on holiday to Florida last week. I had a great time - read below to see what I got up to! We arrived on Saturday evening, but too late to really do anything. Our (being myself, my sister Sarah and my Dad) holiday started on the Sunday which meant a trip to Publix to get food and supplies for the next week. I'm saying 'supplies' because we stayed in a villa as opposed to a hotel, and it worked out perfectly. 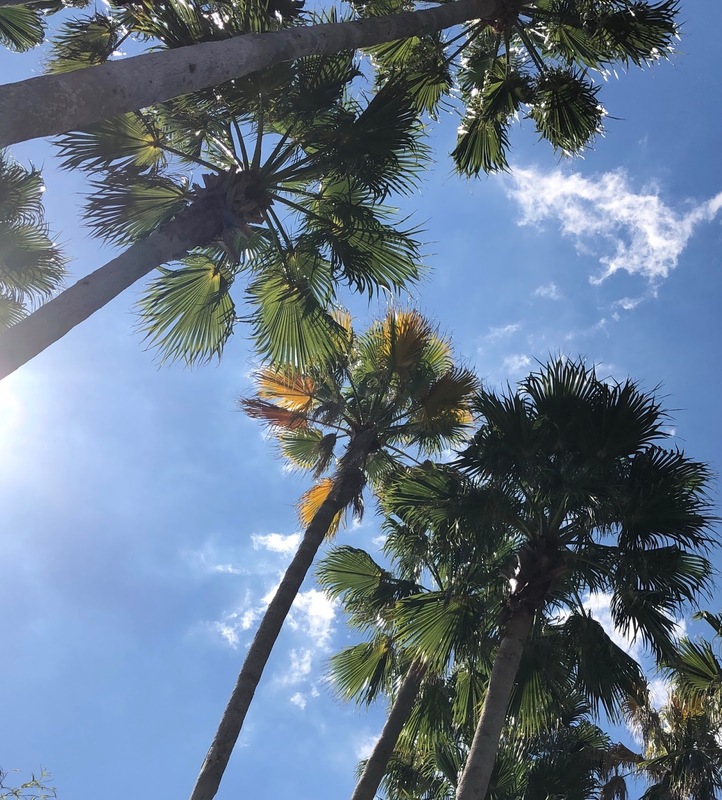 We stayed at the Marriott Harbour Cypress villas which I would wholeheartedly recommend as there's lots to do and socials to go to, as well as all the attractions that Florida offers. Below is a clip of the view from the villa every morning, a dream to wake up to. The rest of Sunday was spent chilling by the pool and reading my book, whilst also topping up my tan as the weather was perfect for doing so. Monday soon came around and so did a round of minigolf at Pirate's Cove. It was really well laid out and had a lot of challenging shots to try and navigate, including over a small body of water. I didn't win sadly, but had a good time and even got a few hole-in-ones. Then it was time to hit Walmart, a place I'd always wanted to go (don't ask, I don't know why either) and get a few bits that I specifically wanted, including Crest Whitestrips that you can only get over there. Sarah and I bought a two-day ticket to Universal and Tuesday was the first of the days we used the ticket. We're both adrenaline junkies, so decided to ride all the rollercoasters and it was so great, such a rush. Harry Potter world was a dream to walk through, especially Diagon Alley, as well as the Hogwarts Express. Head to my Instagram page to see what happened, but there's some pictures below. 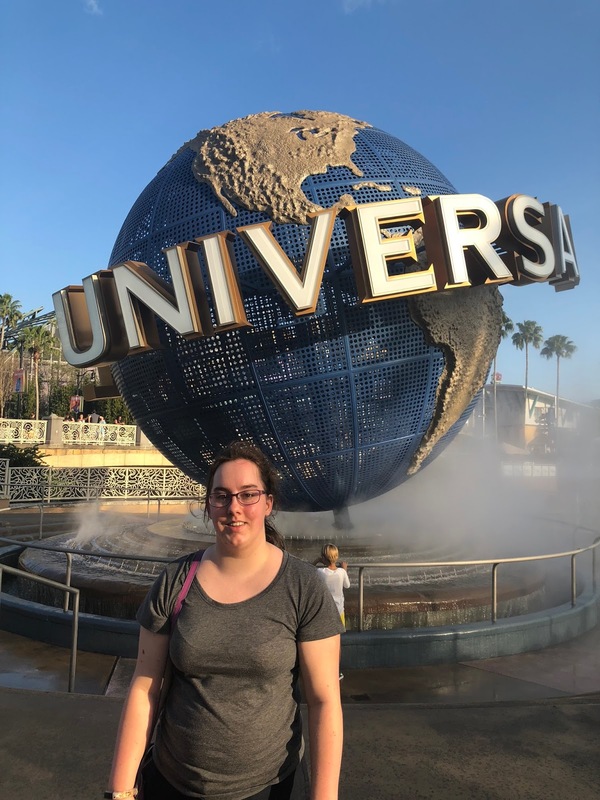 It was exhausting at Universal and I ended up with mild sunstroke as it was so hot (not something you want, trust me!) so thankfully on the second day of our 2-day ticket I was armed with a hat and sunglasses. Wednesday consisted of going to the pool and reading again, but also watching the hundreds of adverts for attorneys on American TV - not an ad break would go by without one. Weird ads and illness aside, the holiday and time off was so relaxing, not thinking about work or anything of the sort. Especially those days by the pool, without looking at screens too much and walking in nature really helps to clear your head and make you feel better about any worries (and I'm an intense worrier). Thursday it was back to being hurtled upside-down on rollercoasters as we headed back to Universal - this time deciding to tackle the Island of Adventures. It was bloody amazing, with all the great rides like The Hulk, The Cat In The Hat (one of my favourite films!) and Dr. Seuss land in general, it was awesome to explore them all. We also bought one of those refill cups each, as it costs $3 or so a drink and the cups were $15, with free refills all day so definitely take the opportunity to buy one if you can. Then Saturday arrived and it was time to go. Before that though, Sarah and I had some retail therapy at Orlando's premium shopping outlets where prices are really cheap. I bought a Kate Spade purse (as I was in the market for a new one) and a Coach cardholder (that I probably didn't need but it was on sale) and the total was around $75 for both: $55 for the purse and $20 for the cardholder. I love them and they take a proud place in my backpack. We all had some lunch at G Mac's Place in Nona Beach, which is one of the golf player's restaurants (it was my Dad's choice hence knowing nothing about it) and the food was really good. It was then time to head to the airport and back to London. I had the most amazing time and I would back to those Marriott villas in a heartbeat (or when I can afford it). It was the perfect break, and I'd like to thank my Dad for taking Sarah & I on holiday; it was everything we wanted and more. It looks like you had the best time angel! I love Florida! Wow, looks like a wonderful holiday! Glad you had a good time. 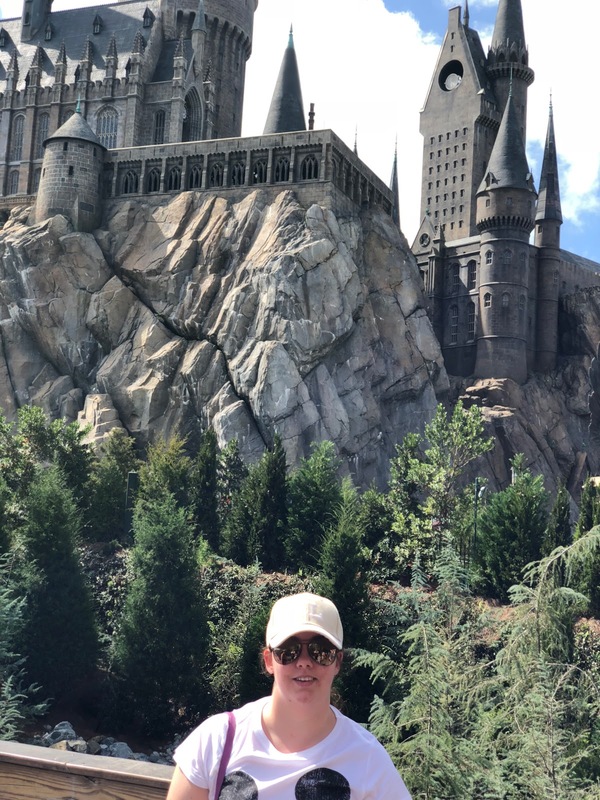 I'd love to go to Harry Potter World but my only issue is that it's SO HOT in Florida and I hate the heat, eek!